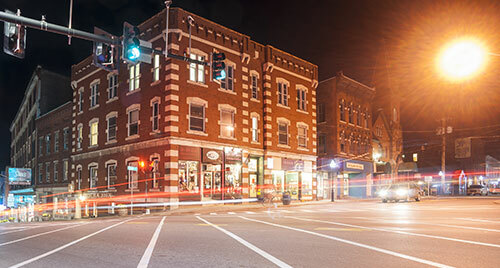 Act One of my novel, The Life Fantastic, takes place in Brattleboro, Vermont, in 1913. I’m excited to share this story, and its background, with folks at the Brattleboro Literary Festival on October 14. Some of the settings in the novel will be familiar to those who live in or near Brattleboro now—including the Estey Organworks, which manufactured parlor organs that were popular all over the country. (Estey’s buildings have been preserved as National Historic Landmarks.) The organ business thrived during the years before the Victrola was invented. Many families could read music and enjoyed singing popular songs around an organ at home. 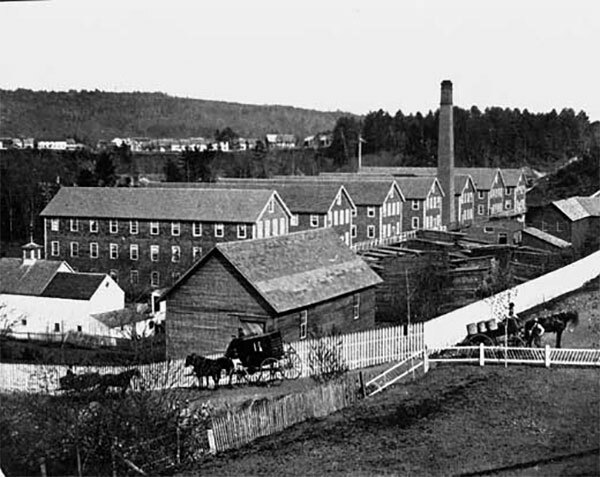 Estey’s eight long buildings hummed with activity and the company was Brattleboro’s biggest employer. But if you come to my talk, you’ll find out why Teresa, my narrator, is appalled when her father—who works at Estey—demands that she accept a job in the tuning rooms. To Teresa, a singer with “a voice like a nightingale” who longs for the lights of Broadway, working at Estey would feel like going to prison. What should she do? Come to my talk to find out. Hope to see you there! 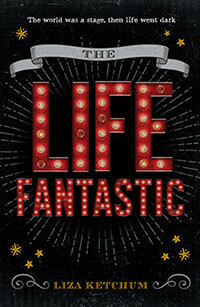 Liza, what is The Life Fantastic about? It is 1913 and vaudeville is America’s most popular form of entertainment. Thousands of theatres and opera houses across the country host vaudeville troupes, including the Princess Theater in Brattleboro, Vermont. There, fifteen-year-old Teresa LeClair—who has a “voice like a nightingale”—remembers the thrill of singing onstage as a child. But her parents gave up life on the road, and her father has decided that Teresa, blessed with perfect pitch, should drop out of school and work in the tuning rooms of the local organ factory. Determined to escape, Teresa wins an amateur singing contest in Vermont and steals away on the night train to New York. She hopes to become a star on Broadway’s “Great White Way.” She has no idea of the challenges that lie ahead, and her younger brother, Pascal (a budding juggler) complicates her adventure by stowing away on the same train. In the city, Teresa struggles to follow her dream and care for her brother, while fearing that her father will find them and force her to return home. Luckily, a more experienced vaudevillian named Maeve—who performs with a troupe of circus dogs—takes Teresa and Pascal under her wing. She coaches them as they perform in two-bit, amateur night competitions. In New York, Teresa runs into Pietro Jones and his father, talented African American dancers who had also performed in Brattleboro. Teresa and Pietro become competitors as well as prickly friends. At a time when young black men could be lynched for simply looking at a white girl, Pietro understands, better than Teresa, the danger of their relationship. As they compete in one contest after another, Teresa’s father tracks her down in New York—and demands that she return with her brother to Vermont. Instead, Teresa slips away again, wins a place on vaudeville’s Silver Circuit, and travels west with Pietro, his father, Maeve—and the dogs. Performing in Western cities and towns, their vaudeville troupe appears in five or six shows a day. They “jump” from one town to the next, sleeping on trains or in fleabag hotels. Every performer risks audience disapproval, which can cause a stage manager to give them “the hook”—and send them packing. As they travel, Teresa’s eyes are opened to the discrimination her black friends face on the road. She also learns, from Pietro, about a new movement for equal rights growing under the leadership of the great civil rights activist and writer, W.E.B. 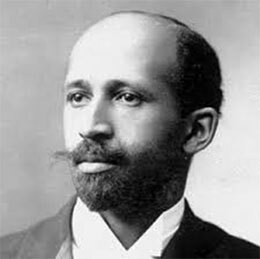 DuBois. Teresa’s friendship with Pietro deepens to attraction, even as they realize they could never be together. When Pietro’s father becomes ill and can’t perform, Teresa and Pietro sing a duet onstage—with dire consequences for their careers and their safety. Teresa’s struggle to find her voice onstage and in her life, far from the support of her family, takes place against a complex backdrop of American history. Fifteen-year-old Teresa’s father works at the Estey Organ Company. Teresa has perfect pitch, which means she can identify a musical note, or sing a named note without hearing any music. This talent would help her get a job in the factory’s tuning rooms, where organ pipes are tested for accuracy. Teresa’s mother believes the job would destroy her daughter’s beautiful voice. And Teresa knows she would never survive, locked up in the factory all day long. 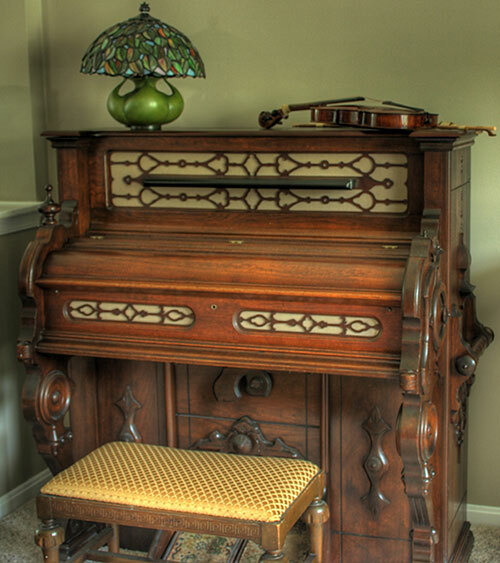 Based in Brattleboro, Vermont, this website serves as the digital museum for the Estey Organ Company, with photos and history about the once-famous manufacturer of parlor organs that graced the homes of many families and churches across the country. An Estey pump organ. Notice the Stradivarius posed on top of the organ. 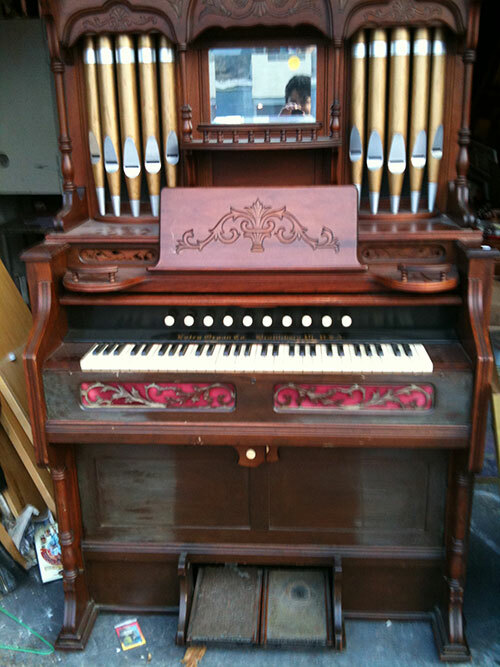 An Estey parlor organ with pipes! Can you imagine the sound in your parlor?